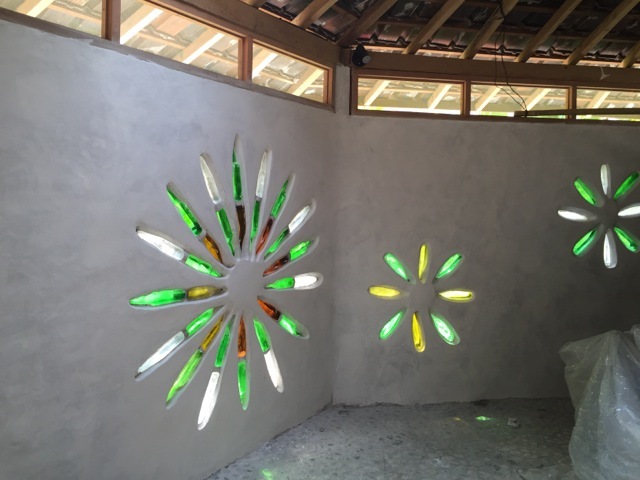 Our new backpacker accommodation, made with recycled bottles is nearly finished. It just looks wonderful from the inside and outside. It is called the Beehive House and has two rooms, two beds each. Simple and clean. 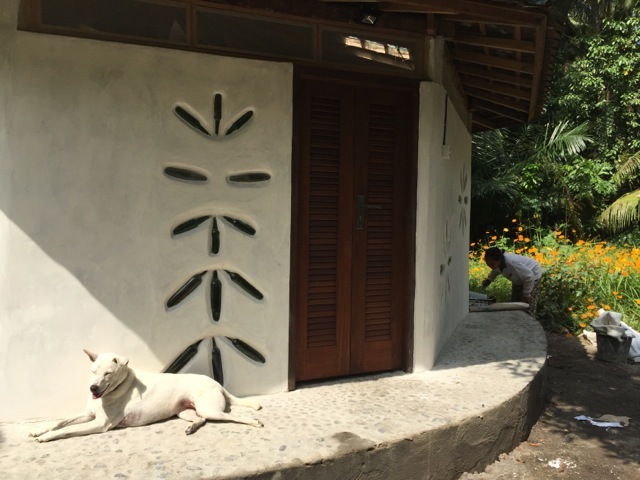 We also added a few steps away an additional Balinese and western shower and toilet with a biological septic tank. We use the bottles as well to give a colorful dimension to the shower. You can see how we gathered and used the recycled material of the new backpacker accommodation at Jiwa Damai on an earlier blog post, here. These are the new rooms, that we recently built here at Jiwa Damai. The rooms are quite basic, with a beautiful stone floor and lots of light. Come by yourself and check it out !